In Western Macedonia Prefecture, on the shores of Orestiada Lake, the furriers’ home; the atmospheric Kastoria dominates! The unspoiled nature, the peaceful waters of the lake, the majestic mountains, the old mansions, the tile-roofed houses, as well as the superb Byzantine churches create a magical backdrop! 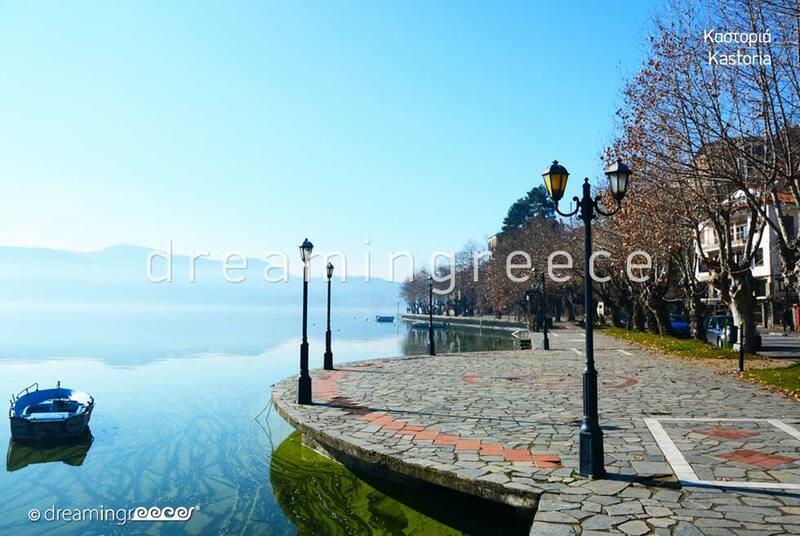 Reference point in this charming town is the Lake of Kastoria, which is classified by the Ministry of Culture as a "Monument of Natural Beauty". It is also integrated into the “Natura 2000” network. If you are an incurable romantic, do not miss the tour of the lake; prefer walking or cycling than using a car. The large trees, the willows, the poplars, the colorful boats, the fishermen with their rods, the beautiful birds of the area and the tranquil waters of the lake; on which the town is mirrored, make up a scene that seems to have sprung from a children's fairy tale! Apart from the lakeside promenade, it is worth taking a boat and sailing. The experience will be unforgettable! 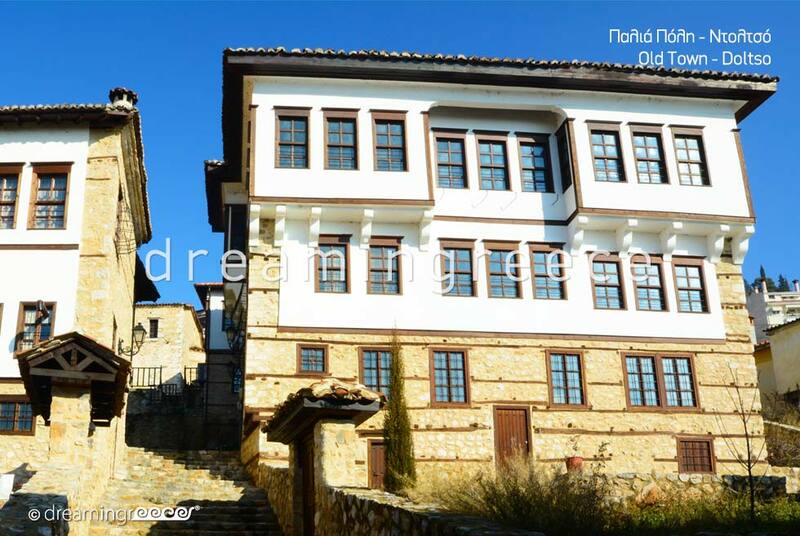 Kastoria is offered for endless walks! The entire old town is an outdoor museum of Byzantine art! You should navigate into the picturesque neighborhoods of Doltsó on the south side and Apózari on the north side, which ooze a pervasive nostalgia! Your eyes will be captivated by the traditional mansions; which testify the splendor of past times, some of which are well preserved and some let at the mercy of time! 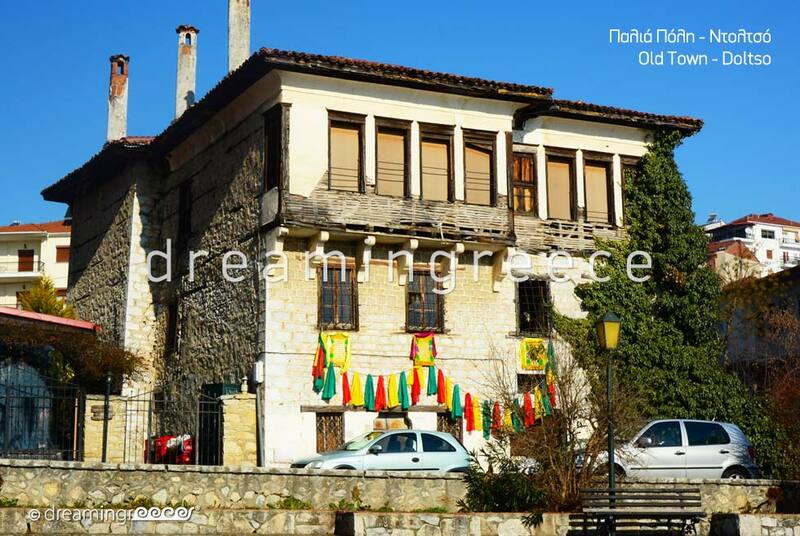 Among them, the mansions of Nerantzis Aivazis which nowadays hosts the Folklore Museum, of Anastasios Pichionos which hosts the Museum of Macedonian Struggle and Emmanuel brothers which hosts the Costume Museum stand out. 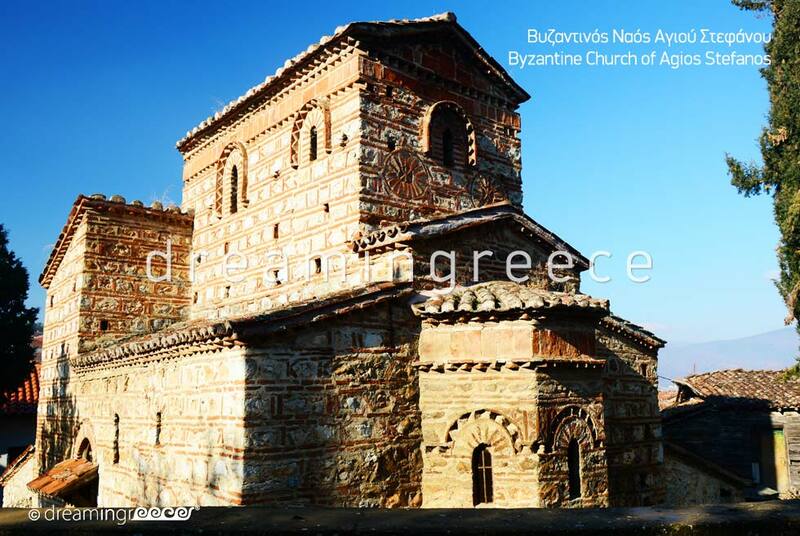 Besides the majestic mansions, your attention will spur the numerous Byzantine churches, which are excellent samples of mastery architecture. While touring the city, you should make a stop in Doltsó square to enjoy your coffee or taste local delicacies in a beautiful environment, which seems to be trapped in time! 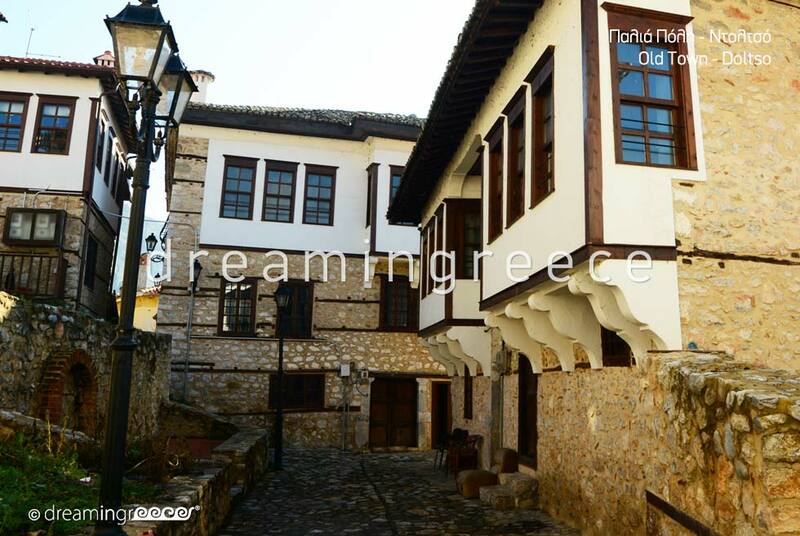 Your tour in this romantic town can continue with a visit to the famous "balcony of Kastoria"; Prophet Elias. From there, you will have the opportunity to enjoy the disarming view of the city, the lake and the mountains which surround it. In the verdant hill of Prophet Elias, you will find the Club of Environment Association Friends where you can relax while enjoying your coffee. You can continue your way uphill, heading towards to Agios Athanasios. The panoramic view will reward you for the effort! 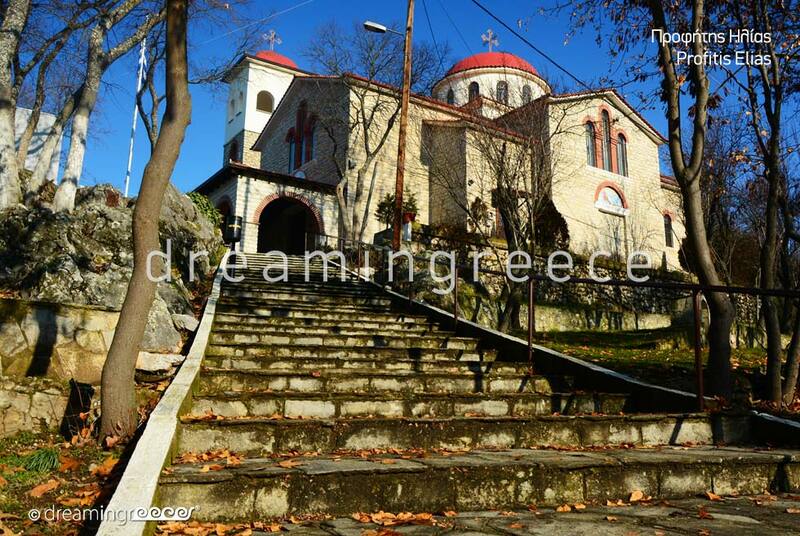 Walking up the hill of Agios Athanasios, you will see the Mountain Theater of Kastoria, which during summer months hosts interesting performances and events. If you love exploring and wish to explore the wider area, you can visit Drakos Cave; the Cave of the Dragon, which is located within walking distance from the city. Inside the cave, you will see small lakes and impressive formations of stalactites and stalagmites. 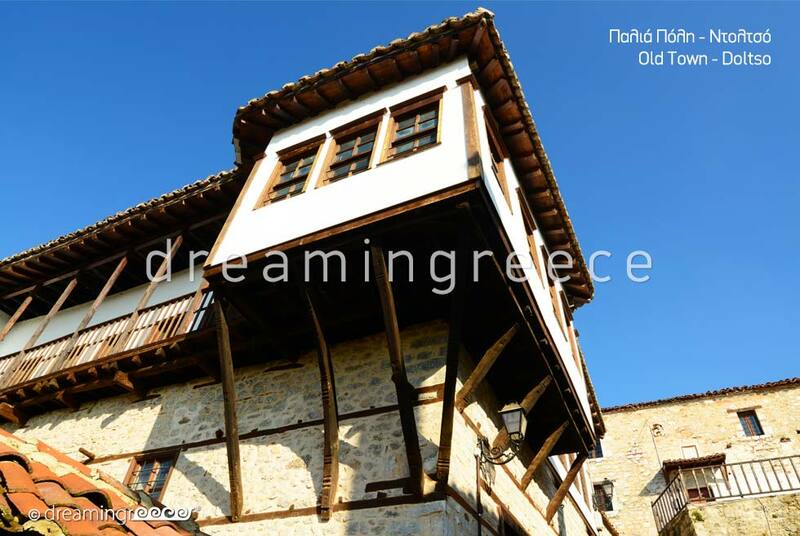 You can also visit the beautiful villages which unfold around Kastoria like Sidirochóri; famous for the disarming of view; Oxià, which unfolds in a breathtaking location and Nestório, which spreads amphitheatrically over Aliakmonas River. It is also worth visiting Dispilió; the, so real, representation of the prehistoric lakeside settlement with huts, along with the beautiful natural surroundings creates a cinematic backdrop, the like of which does not exist! Finally, it is worth making an excursion to Nostimo; home to the famous petrified forest. Kastoria is famous for its unique customs and interesting events. The most popular custom is Ragoutsària; a peculiar Kastoria carnival, which has its roots in Dionysian festivals and is held every year from January the 6th to 8th. 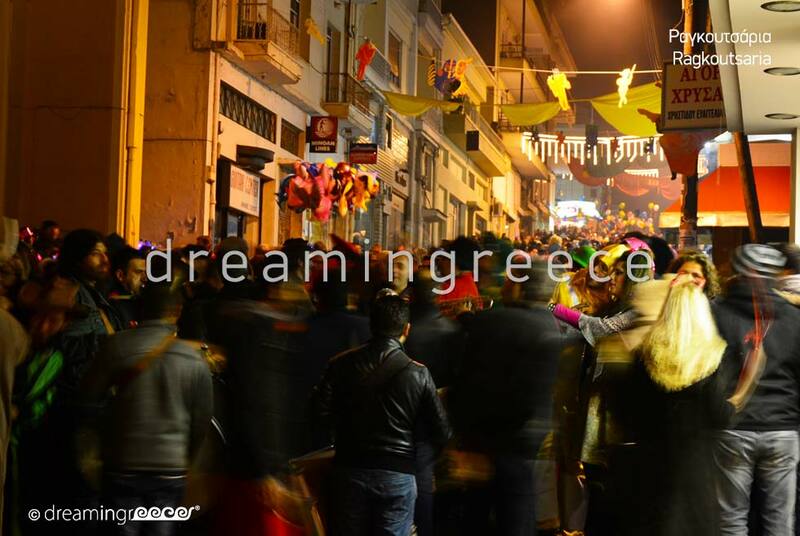 Equally interesting is the River Party; the famous summer festival held in Nestório. 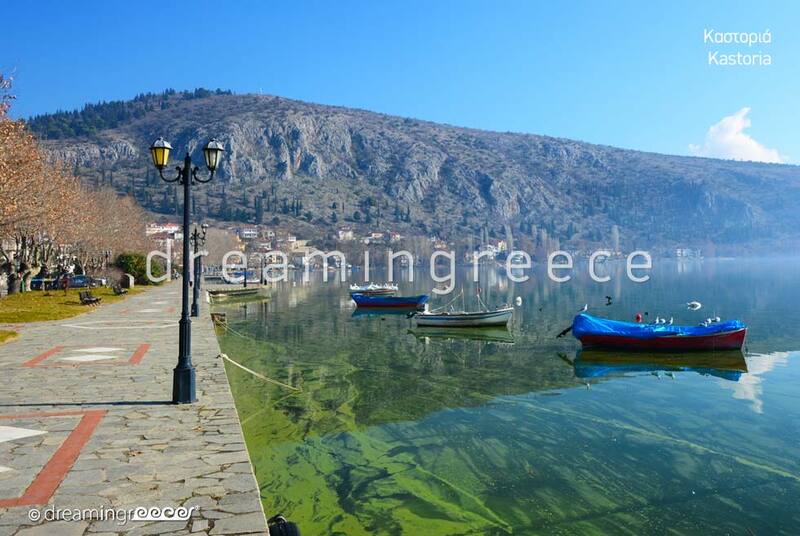 If you love adventure, in Kastoria you will have the opportunity to indulge in various activities, such as jogging or cycling along the shore, hiking in the area of ​​Prophet Elias and Agios Athanasios, boating, fishing, hiking and climbing in the mountains of Grammos and Vítsi. During winter, you can ski or snowboard at Vítsi ski resort. 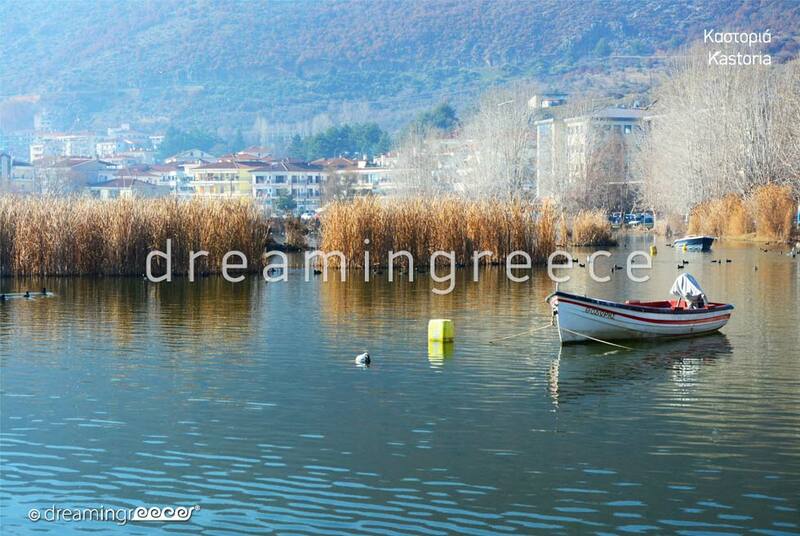 You can drive to Kastoria from Athens (478 km distance - 6 hours ride) via the National Highway from Athens to Lamia. Follow the signs to Karditsa and then to Trikala and Kalambaka. Just after Kalambaka, turn right on the road from Kalambaka to Grevena and after passing Grevena follow the signs to Kastoria (Co-ordinates GPS: 40.513946, 21.253818). 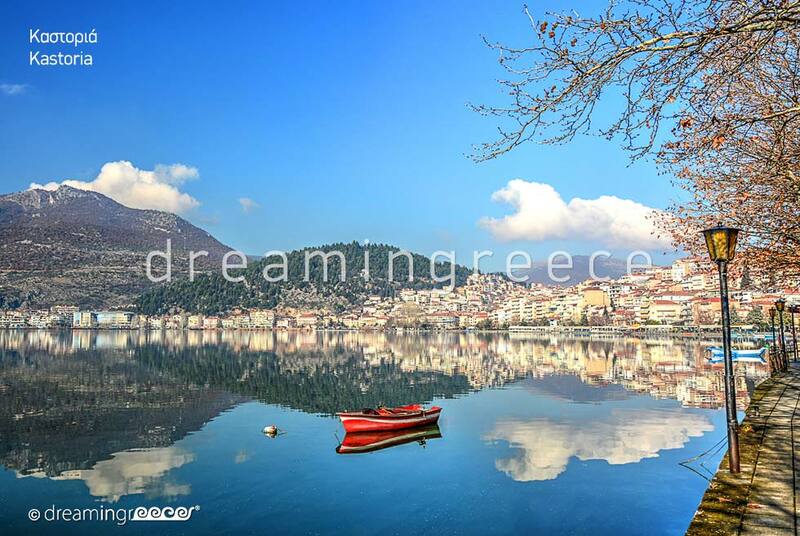 You can fly to Kastoria from Eleftherios Venizelos - Athens International Airport. To reach Kastoria you can also take the Intercity Bus (KTEL Bus of Kastoria) from the Intercity Bus Station of Kifissos (7 hours ride). For more information click here. You can drive from Thessaloniki to Kastoria via Egnatia Highway heading for Veria and Kozani (190 km distance - 1 hour & 45 minutes ride). 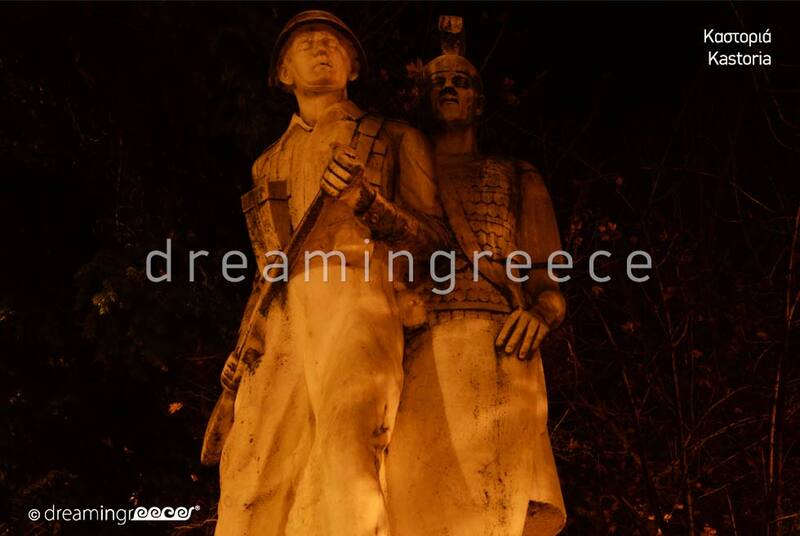 After passing Kozani, follow the signs and turn right on the road from Siatista to Krystallopigi ending up at the city of Kastoria (Co-ordinates GPS: 40.513946, 21.253818). You can also reach Kastoria by the Intercity Bus (KTEL Bus of Kastoria) from the Intercity Bus Station of Thessaloniki (2 hours and 30 minutes trip). For more information click here.